With Argentina as clear favourites for World Cup Group D bitcoin betting, this pool appear to offer little to the neutrals, but nothing could be further from the truth. Iceland, Croatia, and Nigeria all make interesting cases for this quartet being more competitive than first glance. Clear favourites for Group D, Argentina, shouldn’t be considered as sure-things. Theu staggered over the line to qualify for the World Cup and are still in the process of transition. Iceland and Croatia are the only nations drawn together who also met in qualifying, and having both won on home soil it is unclear which should be considered favourite to finish behind Argentina. Nigeria have quietly developed an interesting and highly effective tactical philosophy of late, culminating in a 4-2 friendly win against the Argentines. The group is wide open. Iceland, the neutrals’ favourite at Euro 2016, kick off the group against Lionel Messi’s Argentina in a match that looks primed for one of the all-time great World Cup shocks. Two hours later in Kaliningrad, Croatia and Nigeria face off as old meets young; the golden generation of Luka Modric and Ivan Rakitic is on its way out, while Alex Iwobi and Kelechi Iheanacho signal the beginning of an exciting new era. Group D is packed with fascinating sub-plots, from corruption and boycott, to the wild overachieving of a tiny island, to the desperate final attempt to win Leo Messi a World Cup. It took a Messi hat-trick in the final game of qualifying for Argentina to earn their place at the World Cup after a tortuous campaign in which they got through three different coaches and scored a mere 19 goals in 18 games. And yet, despite their poor form continuing with humiliating friendly defeats to Nigeria (4-2) and Spain (6-1), many consider Argentina to be one of the favourites – is this the classic halo effect? With Messi, Paolo Dybala, Gonzalo Higuain, Angel di Maria, and Sergio Aguero it is easy to see why many are ignoring their plight over the last two years, but there are still some serious flaws in the Argentine squad. Coach Jorge Sampaoli is a superb tactician who performed wonders as Chile coach, using a Marco Bielsa-inspired system of manic high-pressing and ruthless gung-ho attacks, but his methods might not be suited to the lopsided talent pool currently at his disposal. A serious lack of pace in defence makes such an aggressive high line potentially vulnerable, as does his use of wingers in the wing-back positions – hence shipping ten goals against Nigeria and Spain. Argentina have been beaten in the final of three consecutive international tournaments, and on all three occasions they were defeated either in extra time or with late goals. The psychological impact of their recent history, coupled with the desperation to make the most of Messi’s final chance, could create a tense and overly-pressured tournament for the South Americans. Iceland, Croatia, and Nigeria – the latter buoyed by their emphatic victory in March – will all be feeling confident to take advantage of the Argentine fear-of-failure. With a population of just 339,000, Iceland is by some distance the smallest nation ever to qualify for the World Cup (it is the first with fewer than one million). 10% of the entire population travelled to France for Euro 2016 and a similar level of support is expected this time, particularly for the game in Moscow – a city with a population 40 times that of Iceland. They might be minnows, but Iceland pack a serious punch; any England fan will tell you that. Their complex tactical patterns outsmarted most at Euro 2016 and their form continued throughout World Cup qualifying, winning seven of their ten matches to finish as group winners. Heimir Hallgrimsson, the still-practicing dentist who is now in sole charge of the team, has even begun experimenting – successfully - with 4-5-1 and 3-4-3 formations, demonstrating the growing maturity of this remarkable squad. The team has barely changed at all since their run to the quarter-finals of the European Championships. Gylfi Sigurdsson remains their most important attacking talent, while captain Aron Einar Gunnarsson typifies Iceland’s Burnley-esque battling spirit. They beat Croatia 1-0 at home in qualifying and lost 2-0 away, strongly suggesting Iceland will be competitive. Any midfield that contains Barcelona and Real Madrid stars Rakitic, Modric, and Mateo Kovacic can go a long way in a World Cup, but Croatia’s preparation is blighted by the ongoing feud between fans and the FA. Zdravko Mamic is reportedly still highly influential despite his ban from football on corruption charges, creating a toxic atmosphere, and many fan groups dismayed by president Davor Suker’s apparent corruption (he reportedly blocked journalists from investigating in 2015) has led to calls for boycotts. What’s more, Luka Modric’s unexpected decision to retract his original testimony against Mamic at the corruption trial has lowered the public’s opinion of their main playmaker. As recently as October 2017 a popular Croatian sports website told fans to “separate yourselves emotionally from this team” and its “madman” [Mamic] who “has kidnapped our checkers” [a reference to the national flag]. Hardly an ideal backdrop, then, for new coach Zlatko Dalic, who took over the side with one game left in qualifying. They beat Ukraine to reach the play-offs, where Greece were easily dispatched, but have since lost 2-0 to Peru in a March friendly. We know little about how exactly Croatia will fare, but with the vast majority of their golden generation 29 or older it is safe to say, like Argentina, this is their final shot at something memorable before a likely period of decline. Gernot Rohr has steadily built an exciting counter-attacking Nigerian side that is both strong in defence and alarmingly effective in attack. Sitting in a deep, organised defensive formation, Nigeria’s John Obi Mikel calmly patrols the base of midfield and feeds the rapid front three of Iwobi, Iheanacho, and Victor Moses. Nigeria will certainly be fun to watch. Prior to Rohr’s appointment in August 2016 the West African nation had failed to qualify for two consecutive Africa Cup of Nations tournaments, but in the space of 18 months the German has revolutionised Nigeria. The 4-2 victory against Argentina, in which the Super Eagles came back from two goals down, has created a buzz around this young side. Wilfried Ndidi’s emergence as a world-class midfielder at Leicester City could be the final piece in the jigsaw giving Nigeria every chance of progressing further than any other African side. There are some fascinating dynamics to World Cup Group D bitcoin betting. Nigeria have more quality than Iceland but are not as well organised; both are less talented than Croatia but considerably more unified. Argentina possess by far the most start-studded squad, but bettors shouldn’t ignore their horrendous qualification campaign. 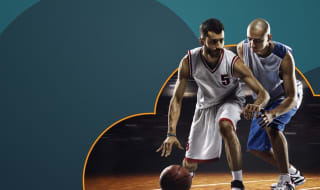 Group D could go right to the wire and there are a huge range of markets available at Cloudbet; take advantage of our great value odds, high limits and all the advantage of betting on the World Cup with bitcoin. As the viking single clap chant rang through the Spartak stadium, the Iceland players seemed to grow in stature. And that was before goalkeeper Hannes Halldorsson saved Messi's penalty. The part time film director made a series of outstanding saves in a tightly fought match. A draw was probably a fair result though it'll be Iceland who are happiest. Croatia and Nigeria produced a game with a scoreline that flatters to deceive. Though 2-0 winners, Croatia hardly looked to threaten their opposition, only going ahead before the break thanks to an own goal. This group looks like a three-horse race for qualifying. Take a look at our World Cup guide to see how different this year's tournament has been.